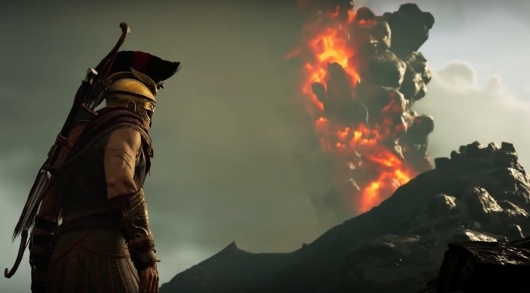 The latest game in the Assassin’s Creed series, Assassin’s Creed Odyssey, is just a week or so away from hitting store shelves, so Ubisoft has shared a launch trailer for the game. Click on over to the other side for much more info on Odyssey and to check out the launch trailer. The game can be pre-ordered in a Standard Edition, Deluxe Edition, Gold Edition, Gold Steelbook Edition, or Ultimate Edition now. Click right here to find previously released trailers and a gameplay video if you missed them.